One of Chicago’s top interior designers, Donna specializes in full-scale renovations, new construction, and overall interior design. 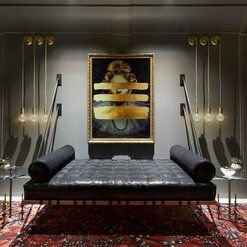 Since opening her firm in 2001, her style has become known for her ability to blend classicism with modernity. She has earned a spot as one of the “Top 20 Interior Designers in Chicago” and “Top 200 Influencers in the Design Industry”. 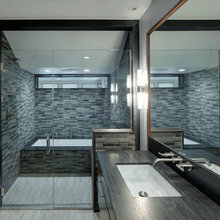 Creating the full client experience by combining lifestyle preferences with the latest innovations in the industry has earned DMID the reputation of the “go to” firm for new luxury buildings in Chicago. 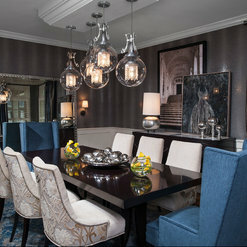 DMID projects range from urban modern high-rise luxury condos in the Gold Coast to transitional estate homes in the North Shore and Hinsdale area. 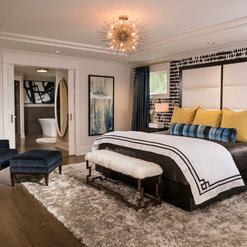 DMID has received many accolades and awards; the most recent being recognized with three ASID Design Excellence First Place awards in 2016 as well as features by Architectural Digest, Elle Decor, Vogue, NBC, Fox , WGN and an upcoming Traditional Home spread. 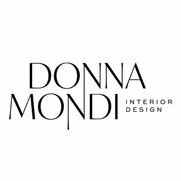 Donna is truly one of the most gifted interior designers we have had the pleasure of supplying leather sources to. It is always a treat to see the finished product because she is innovative and keeps her designs fresh and timeless. Best wishes to you in 2018, Team DMID! You will not find a more organized and efficient group to work with than Donna and her team! Her taste speaks for itself. She provided so many options for us to choose from and made sure it all looked gorgeous together. They followed through on 110% of details from ordering to delivery to install, and never dropped the ball! They are the real deal!! Thanks so much for your amazing testimonial! The DMID team loves working with you and your place looks amazing!! The entire Savvy Team was excellent to work with. They assisted us through the selection and furnishing process in building our new home. Donna and Ashlee are both very professional and personable, they learned about our style and were considerate about our budget and priorities in making their recommendations. They made what could have been a very stressful and overwhelming process very fun and enjoyable. We will definitely use Savvy again as we continue to complete the furnishings for our new home. We look forward to our next project and working with Savvy again! Thank you very much Jackie & Dan! It has been a pleasure working with you on your beautiful new home. The Savvy Team looks forward to your next project! 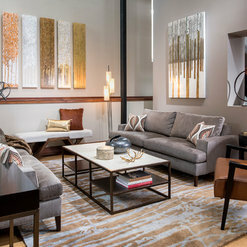 We just recently completed a living room makeover with Savvy Interior Design. It is beyond anything we imagined for our living room. We now never want to leave our home. Ashlee really listened to what we wanted yet put her own creative spin on a few ideas. The art wall adds so much brilliance and color to our room. The sectional and chairs we ordered through Savvy add additional living space to our room and are better quality then anything we would have purchased on our own. The dimensions of everything are spot on and Ashlee would take the time to send us a diagram of the dimensions of the furniture we were considering so that we could determine how it would look in the room before purchasing. I highly recommended Savvy Interior Design and can't wait for the next project! Thank you very much Mindy & Mark! Ashlee did an amazing job and we absolutely LOVE the art wall! We enjoyed working with you and look forward to your next project! Thanks Matt! We love working with your talented and organized team! Looking forward to collaborating on many more projects. 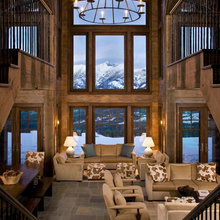 I have worked with Donna Hall and the Savvy Interior Design team on numerous projects. They have a wealth of knowledge to offer and are seasoned professionals in their field. Whether your project is small or grand, they will give you their undivided attention and provide their expertise to help you achieve, even surpass your vision. They are a great team to work with and will transform your ideas into realities. 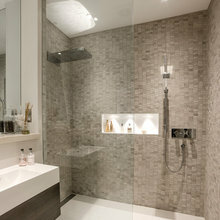 I am a contracting professional who has been working with Savvy Interior Design for many years now. I have witnessed many of their concepts come to fruition and the results are always amazing! I have also heard from many of their clients and how they couldn't be happier with the results. Donna and her team of professionals are easy to work with and they always provide excellent and consistent service and support. I would highly recommend their services! Thanks Lenny! We've enjoyed working with you over the years and look forward to many more projects together! The team at Savvy is a Dream Team. Having worked with Donna and Lori on a show house and on Donna's own home, I have been blown away by their expertise, punctuality, efficiency, knowledge of the latest styles and trends and how to mix them with classic design and their warmth with clients and vendors. Personally, I would have Donna design my home in a heartbeat and I have a degree in interior design myself. Thanks Daniel, for the fantastic compliments! We LOVED working with you! Thanks Jeff! We have enjoyed working with you as well and look forward to many more projects in the future! Savvy Interior Design did an excellent job matching our ideas with a finished product. Donna made sure that all of our desires were achieved. We continue to use Savvy for our decorating needs. 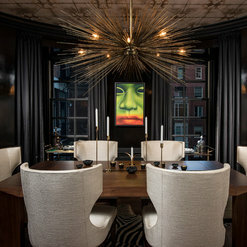 The team at Savvy Interior Design is exceptional. Donna helped us with every step of the process in building our house, from the overall vision, each selection, to the furnishings. She really took the time to learn about our style and made recommendations that we loved. She respected our time, our budget and our priorities. We truly enjoyed building a home, instead of becoming totally overwhelmed, thanks to Donna. She was as excited about our project as we were and was also just great fun to work with. We now enjoy a home that is a perfect reflection of who we are but is more artful than we could ever have possibly done on our own. Donna and her team are a creative force who are on top of today's trends as well as classic styling. They develop genuine relationships with their clients and vendor partners. 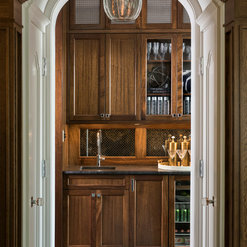 This helps to create inspired spaces for their client's homes. They are a pleasure to work with. Commented: Where are the curtains from?Hello! Thank you for reaching out. These panels were custom made with two Fabricut fabrics through our local workroom. Commented: Gorgeous!Hi! Thank you! We are very proud of this one! Commented: DimensionsHello, I'm sorry but we no longer have access to this information. Commented: Light fixture is perfect!Hello. 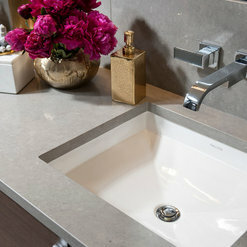 The fixture is a Visual Comfort piece. I hope this helps! Commented: Decorative piece on table.Hello. 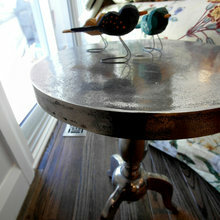 The accessories on the dining table are from Global Views.